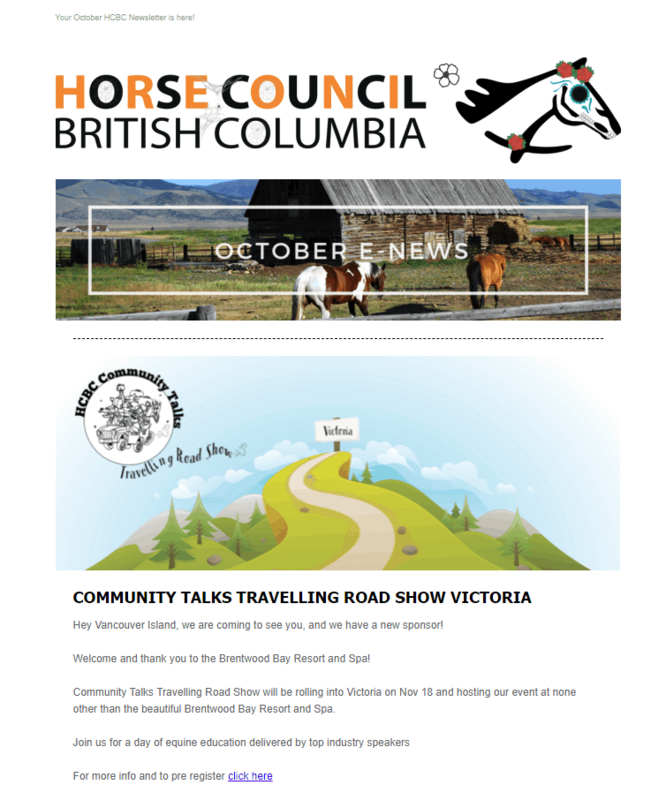 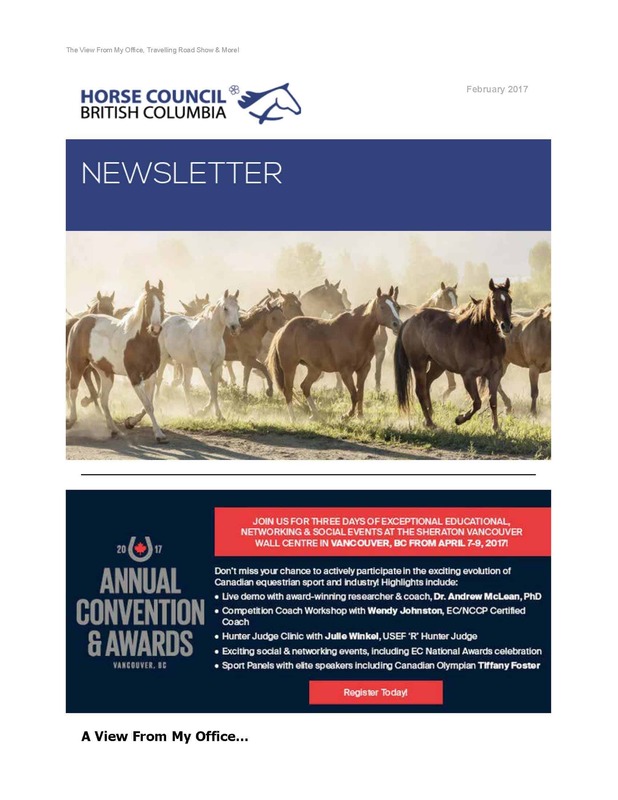 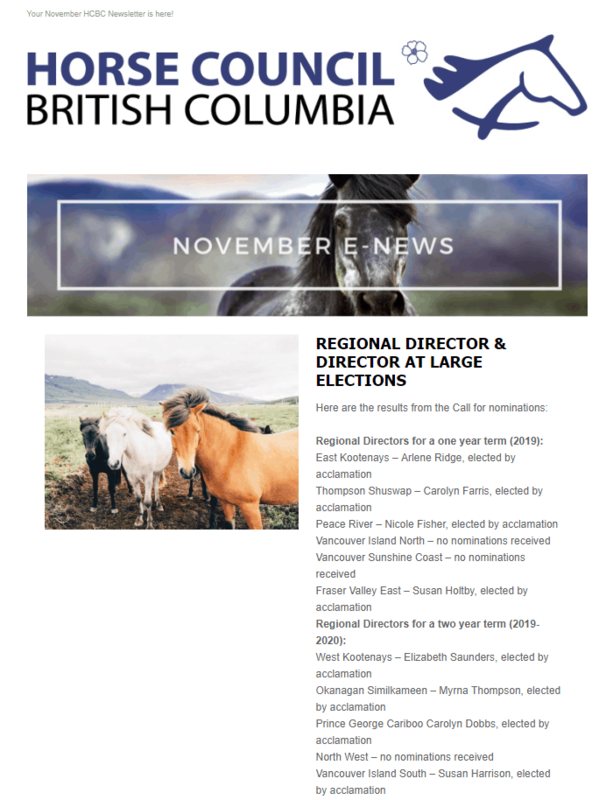 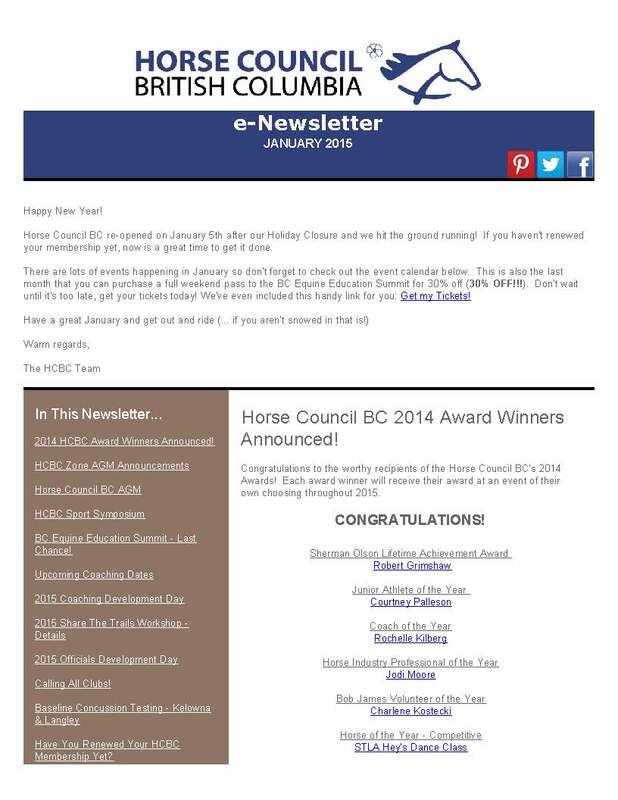 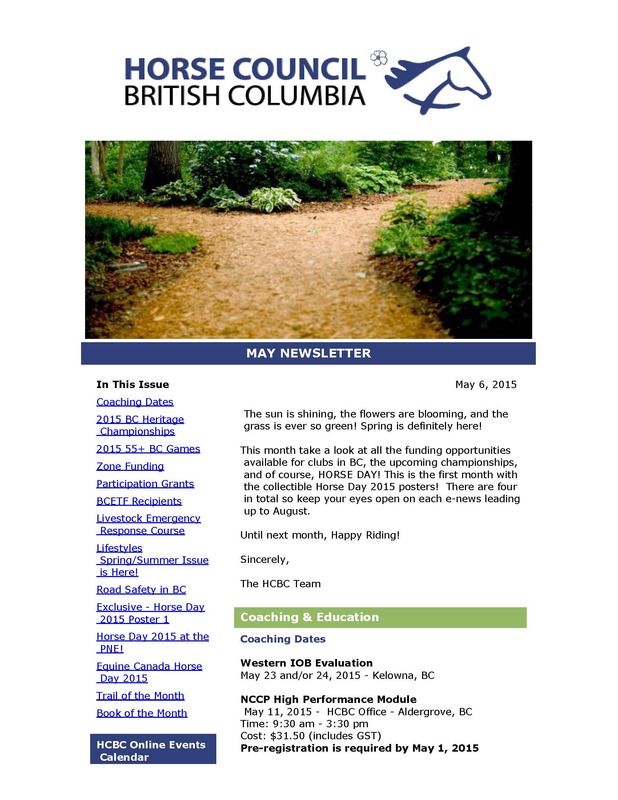 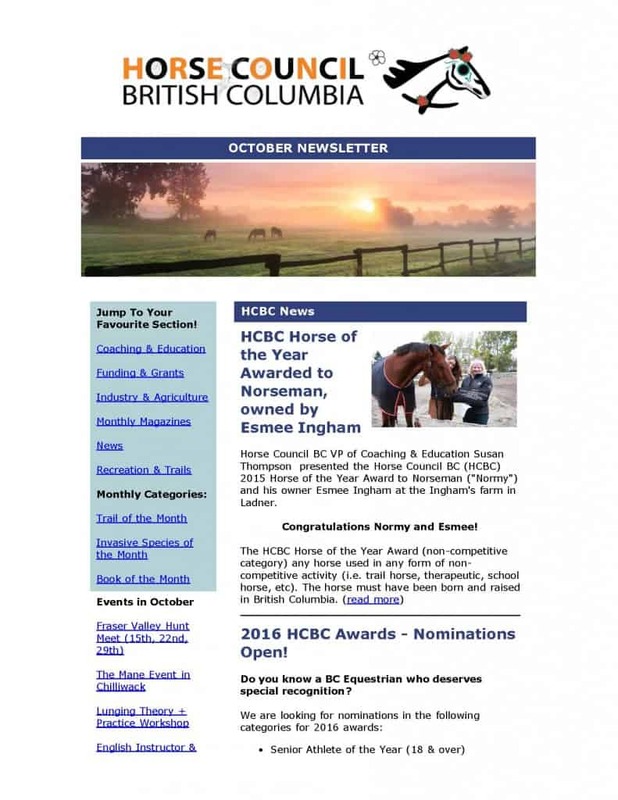 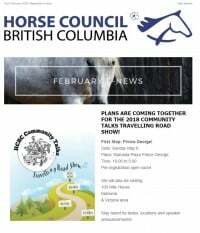 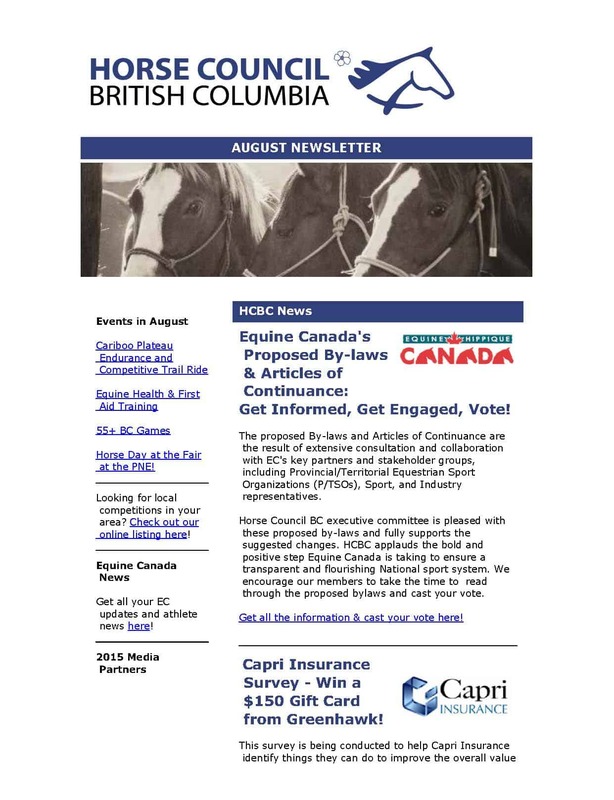 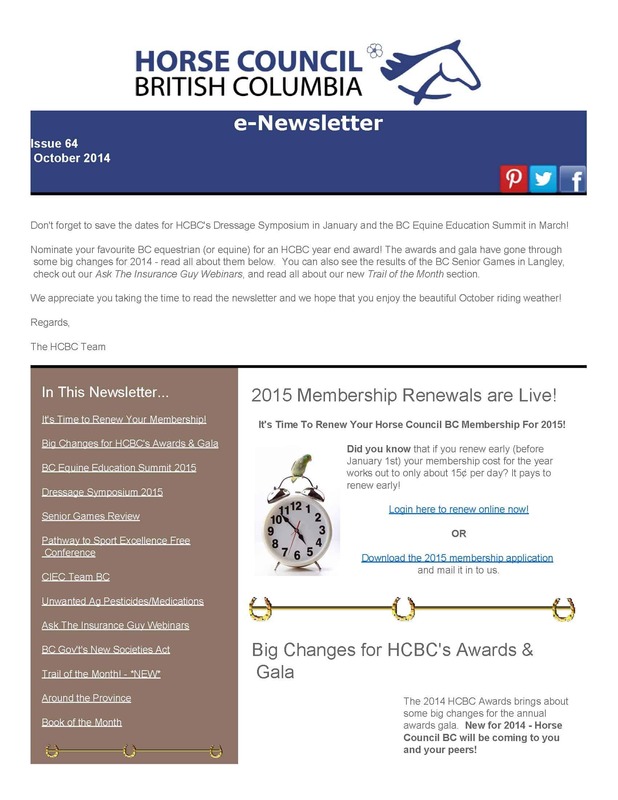 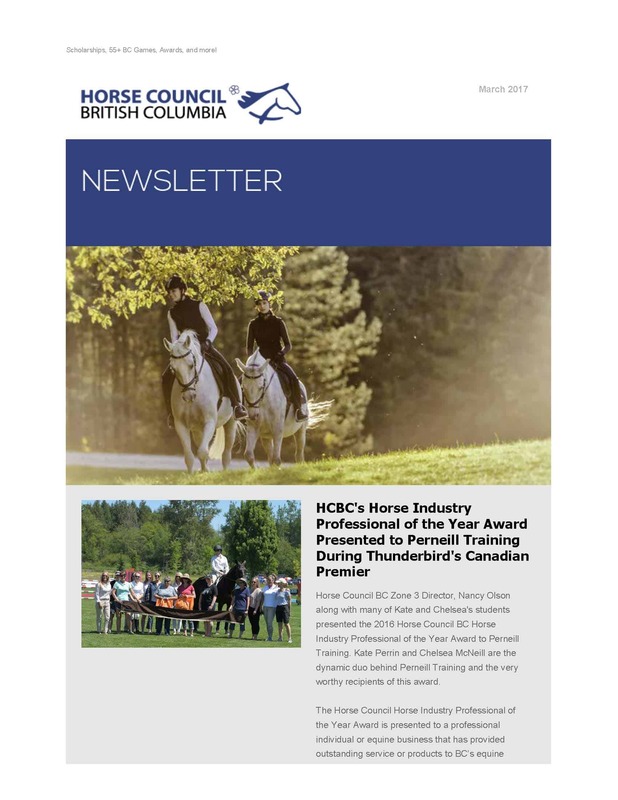 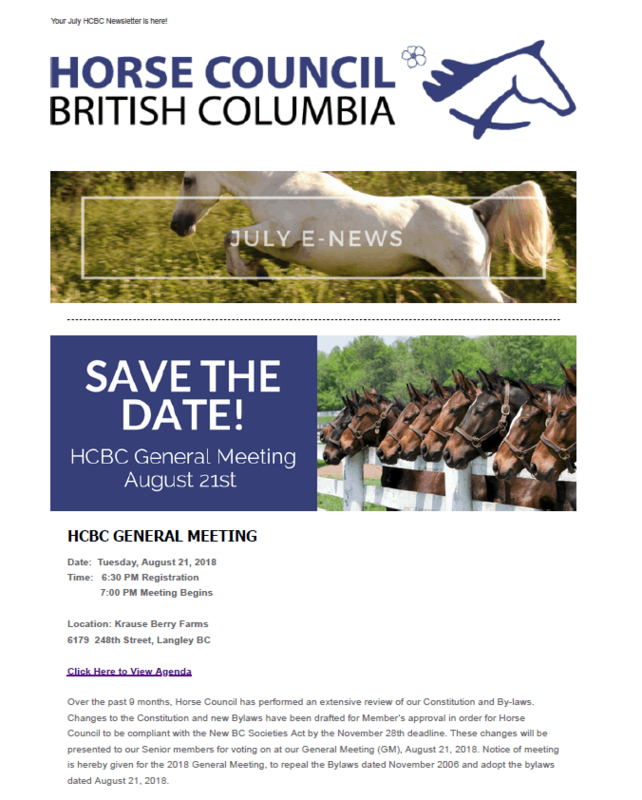 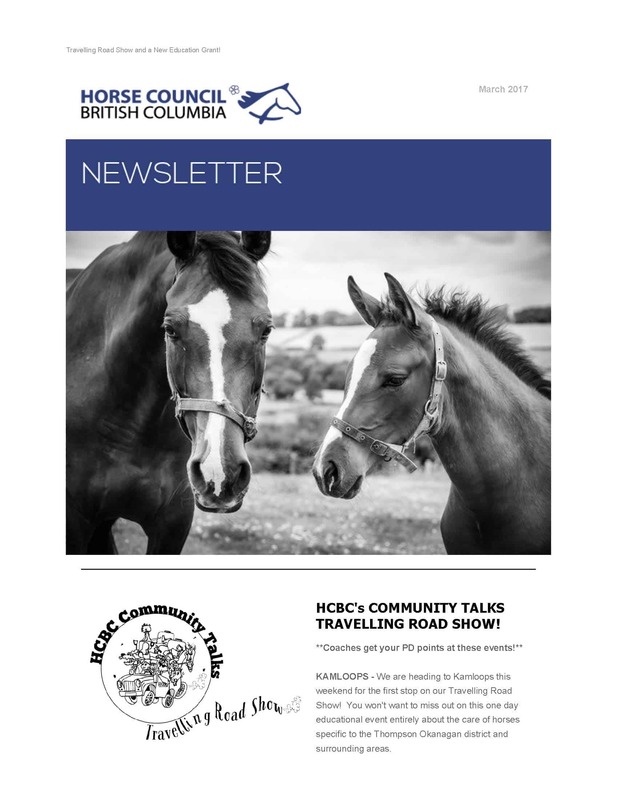 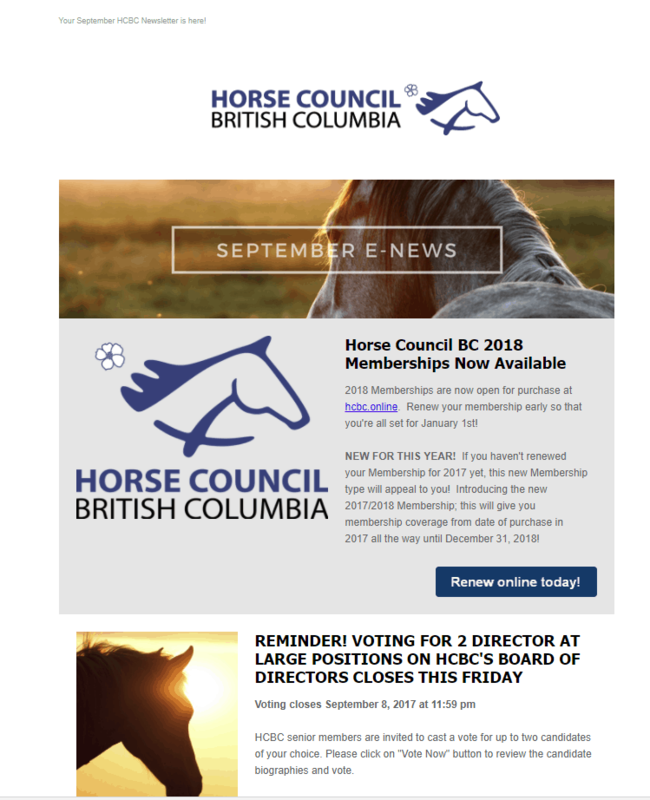 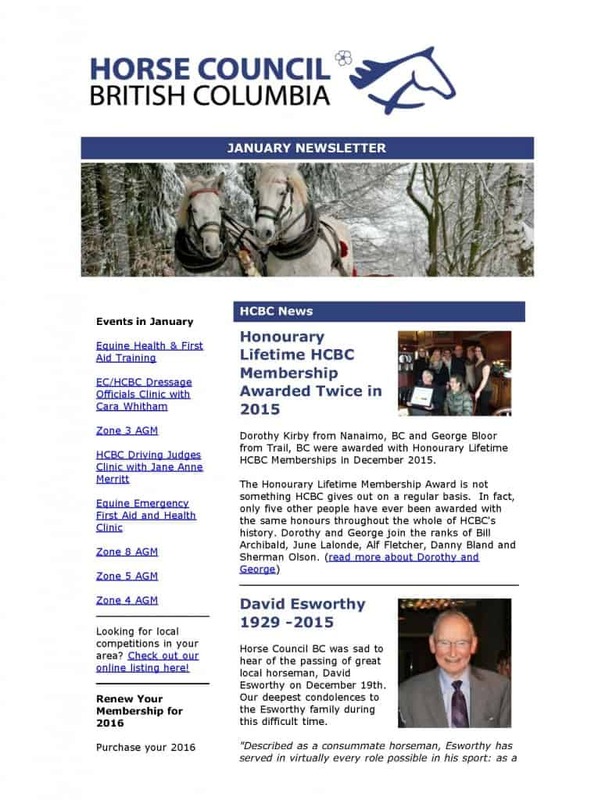 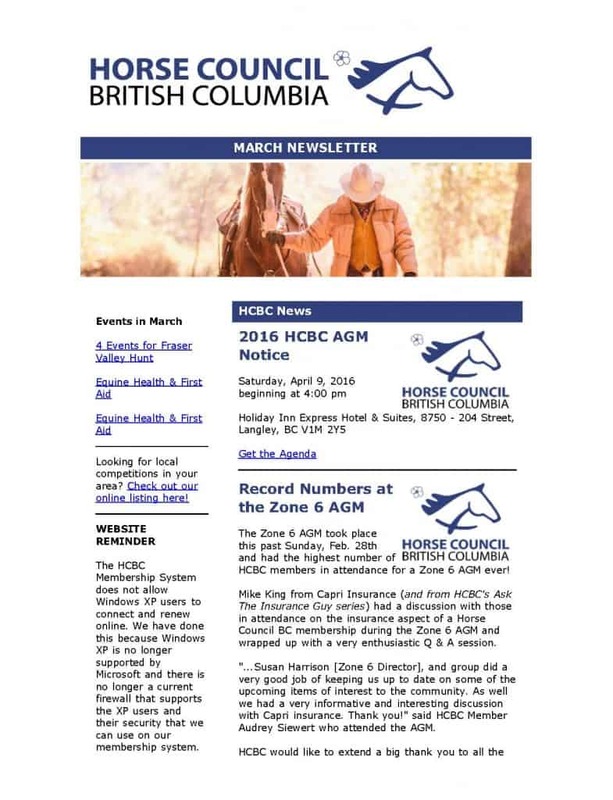 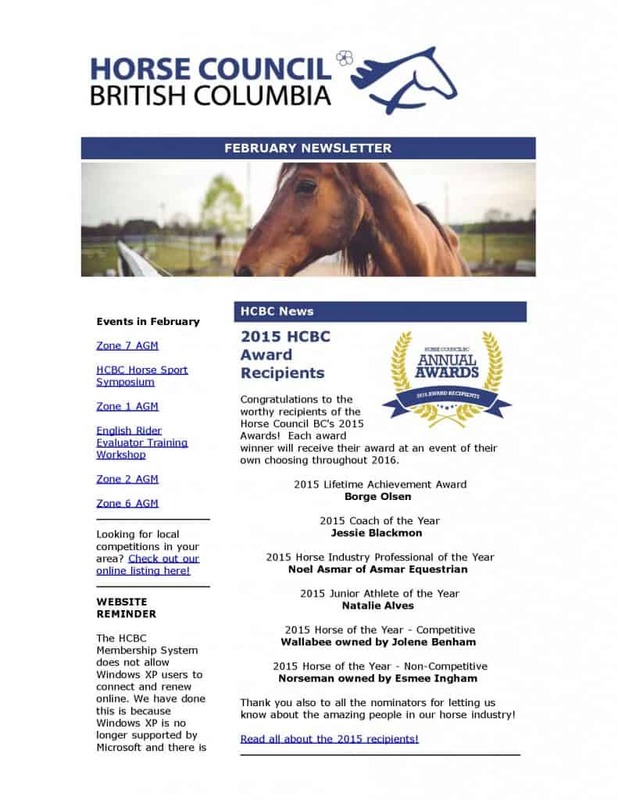 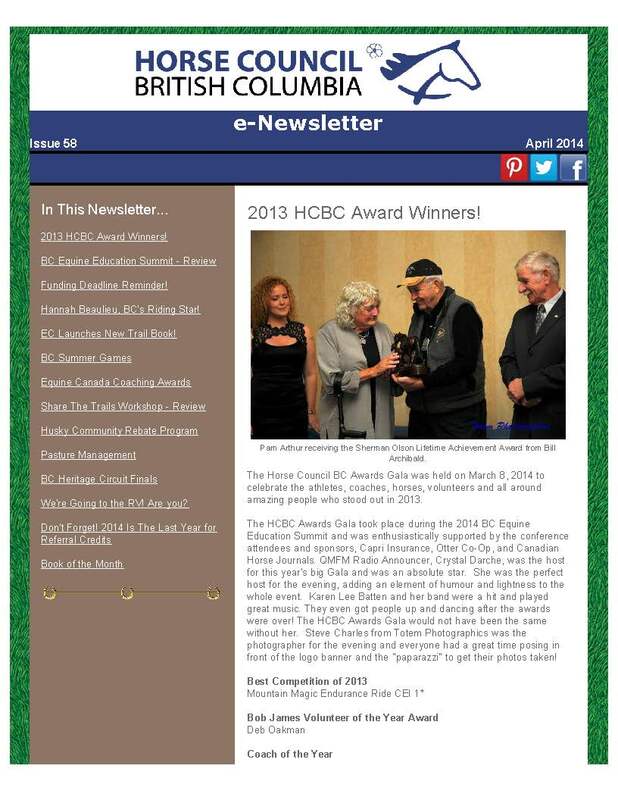 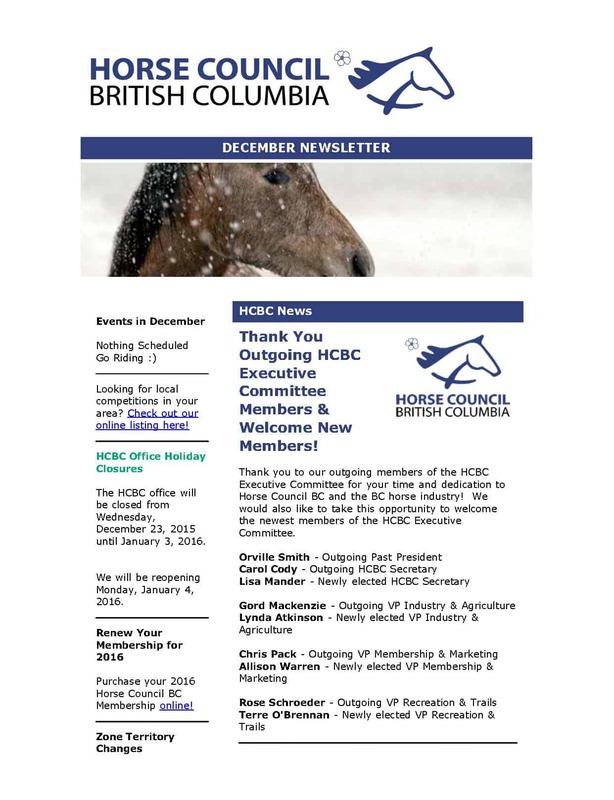 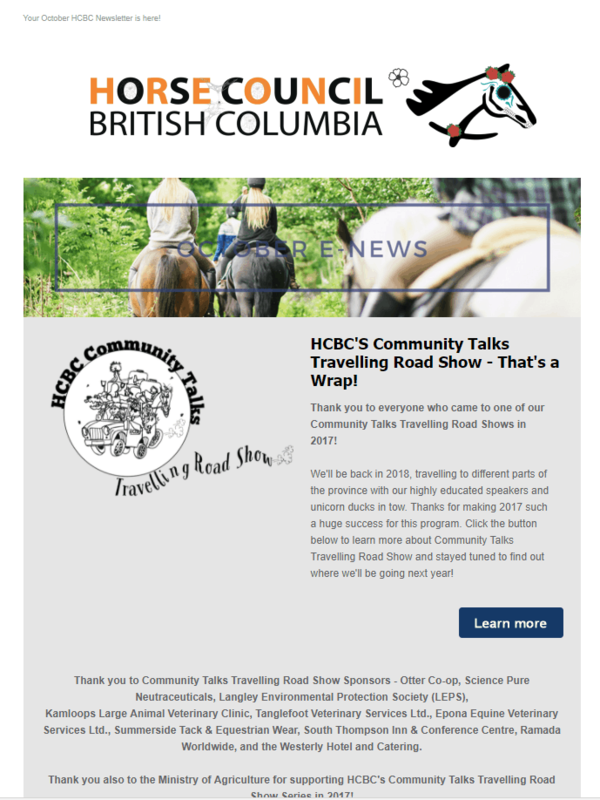 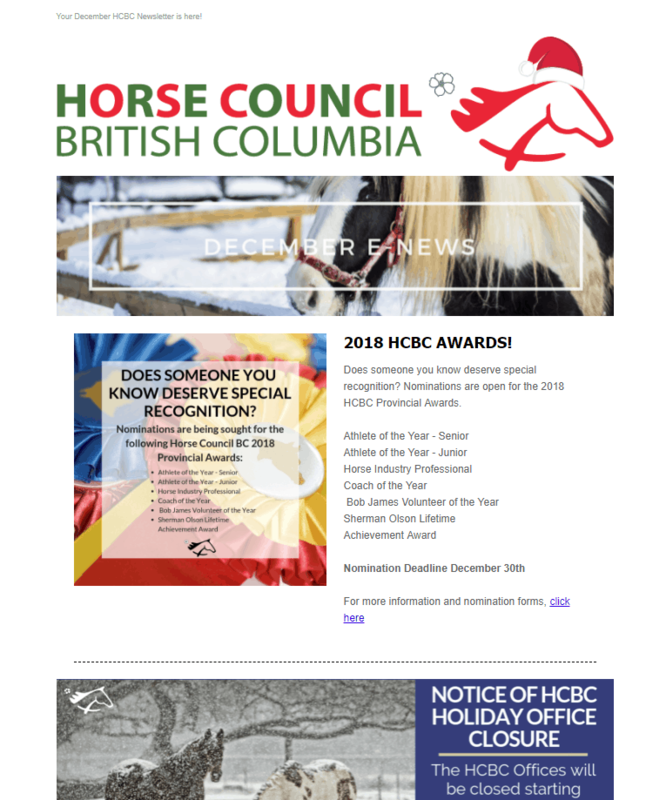 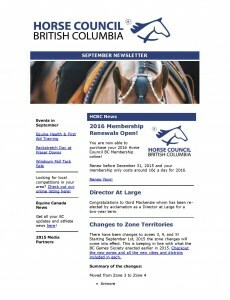 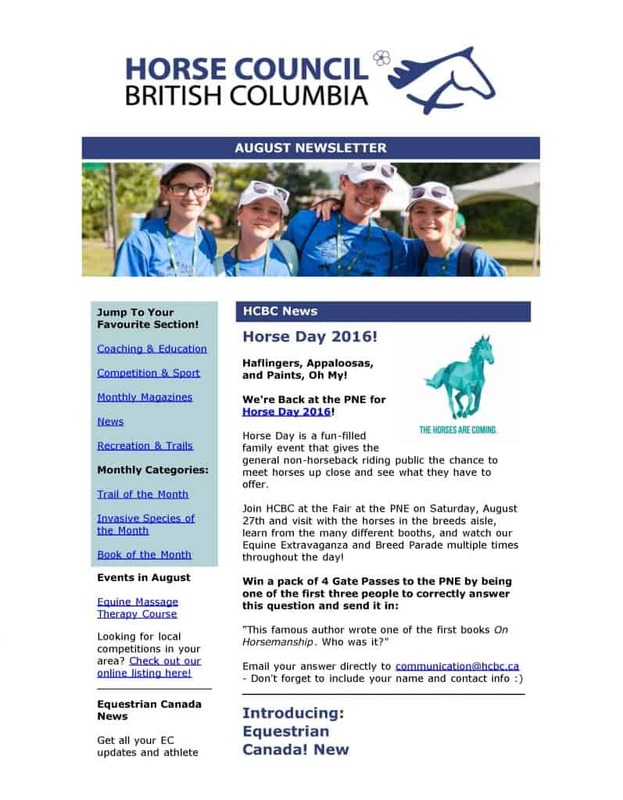 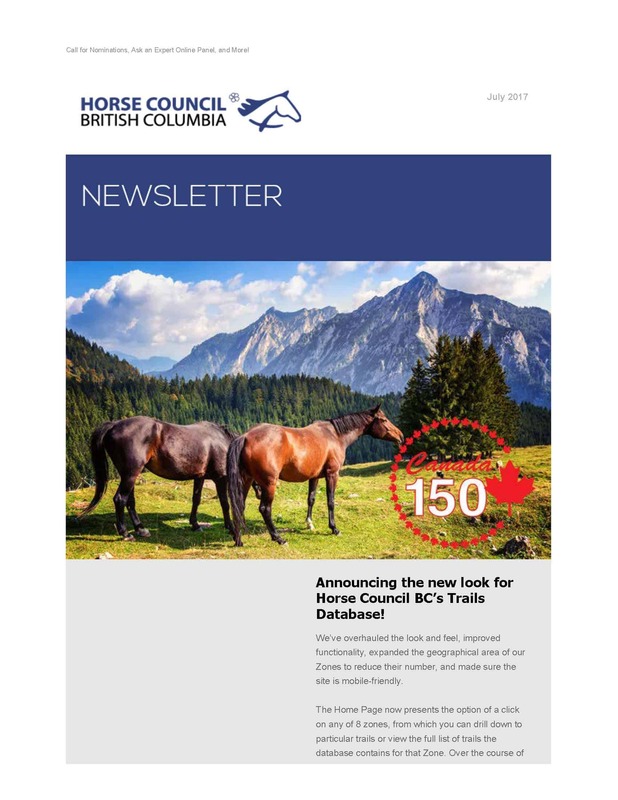 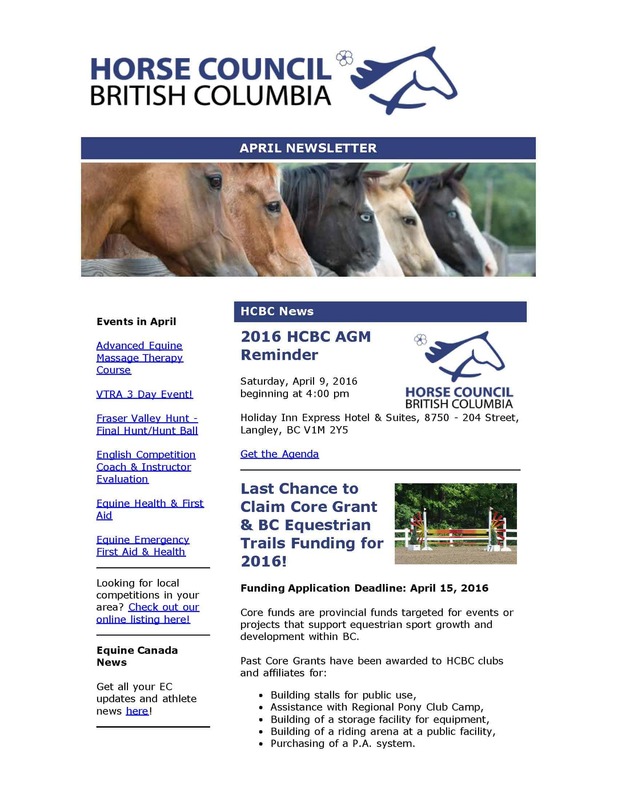 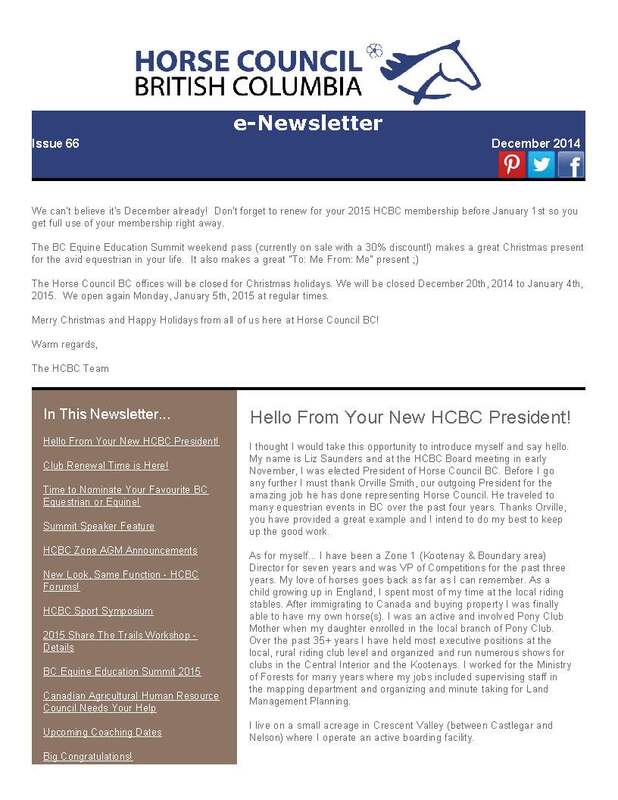 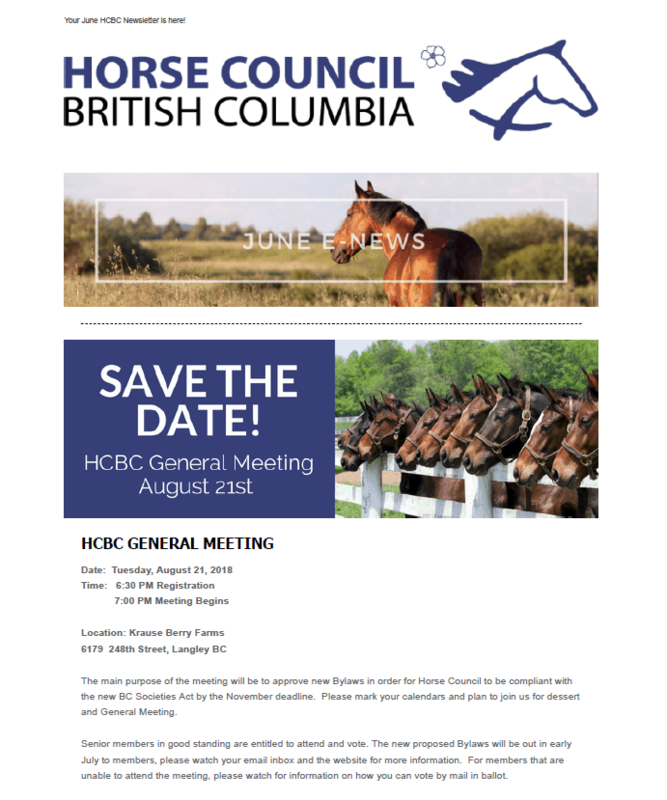 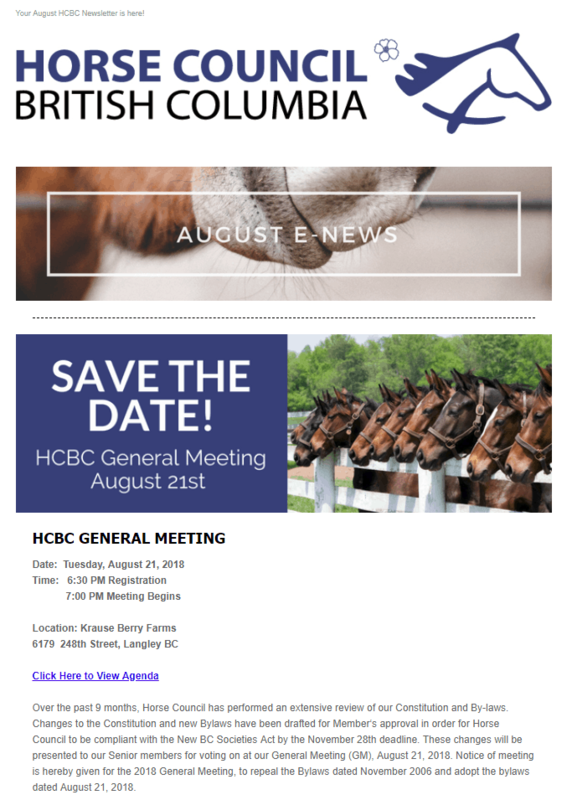 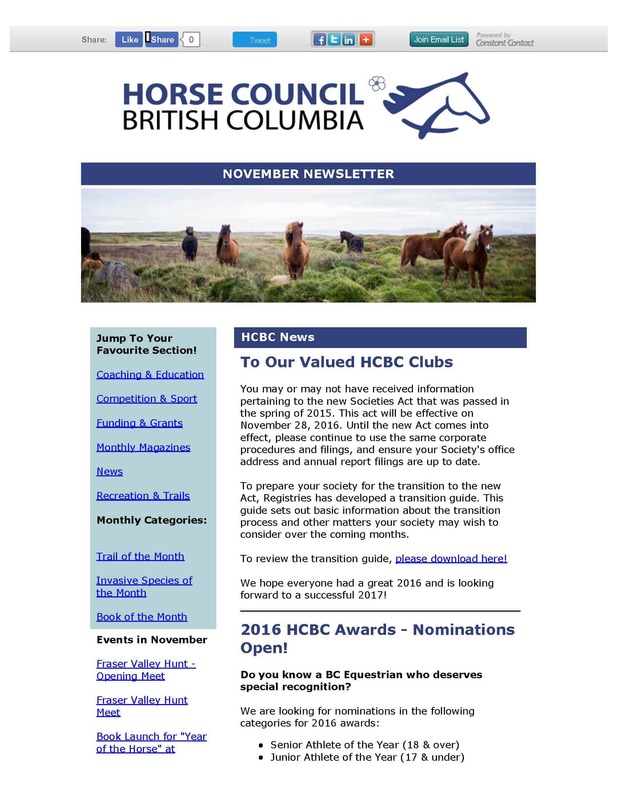 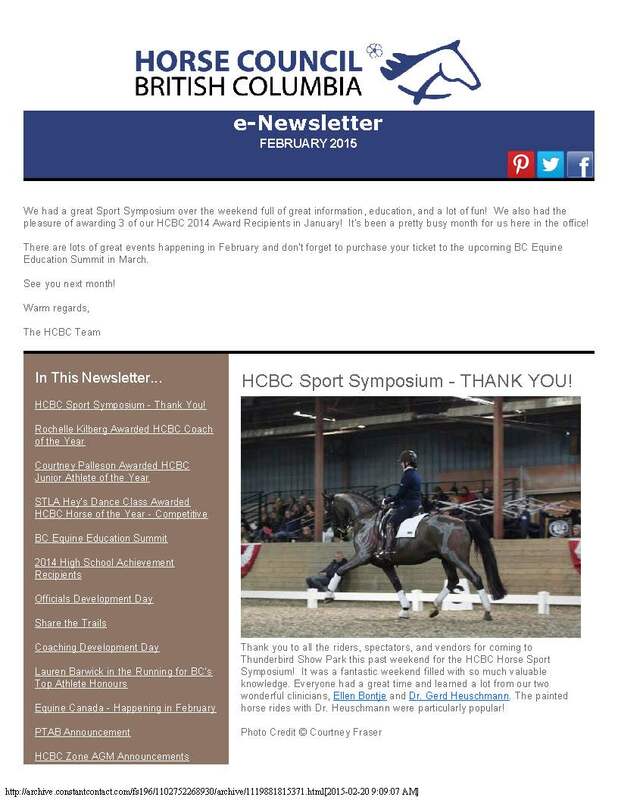 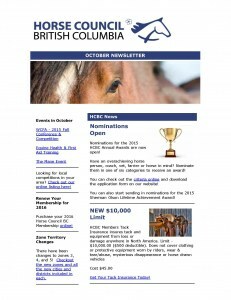 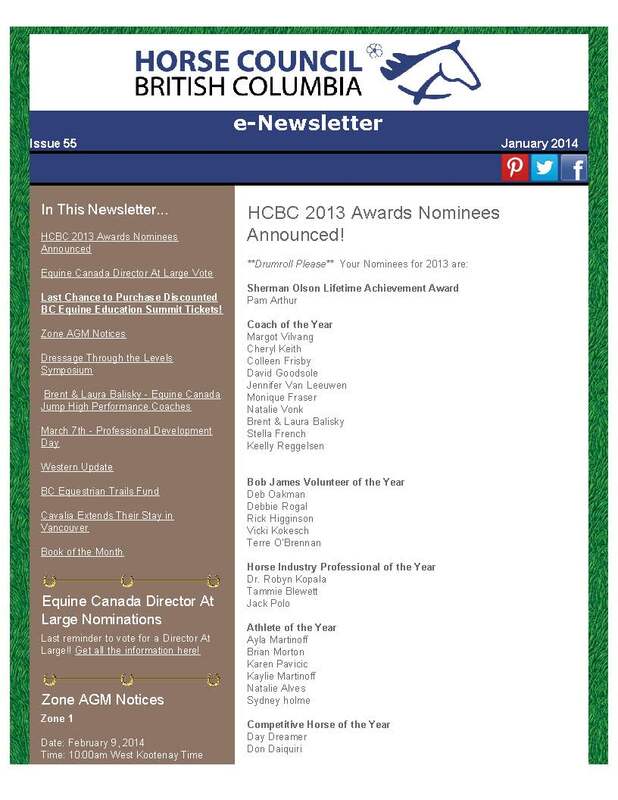 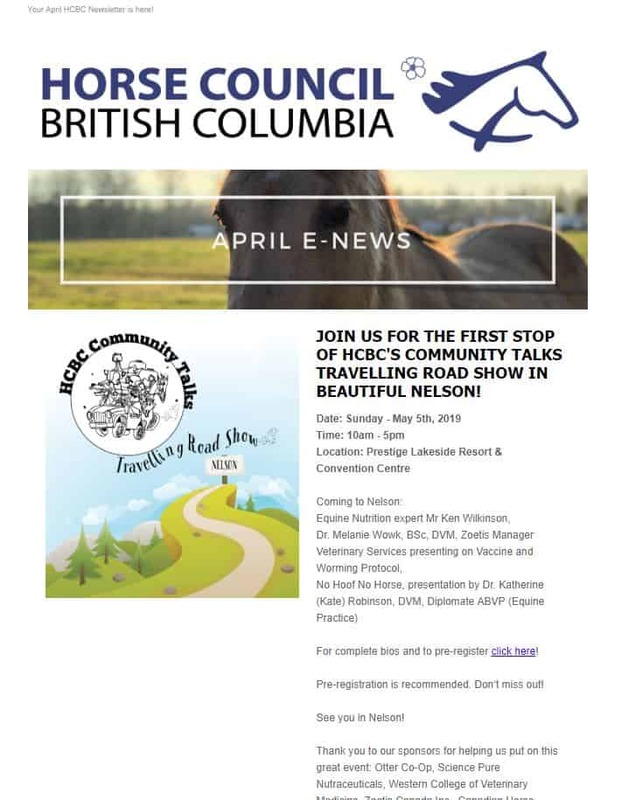 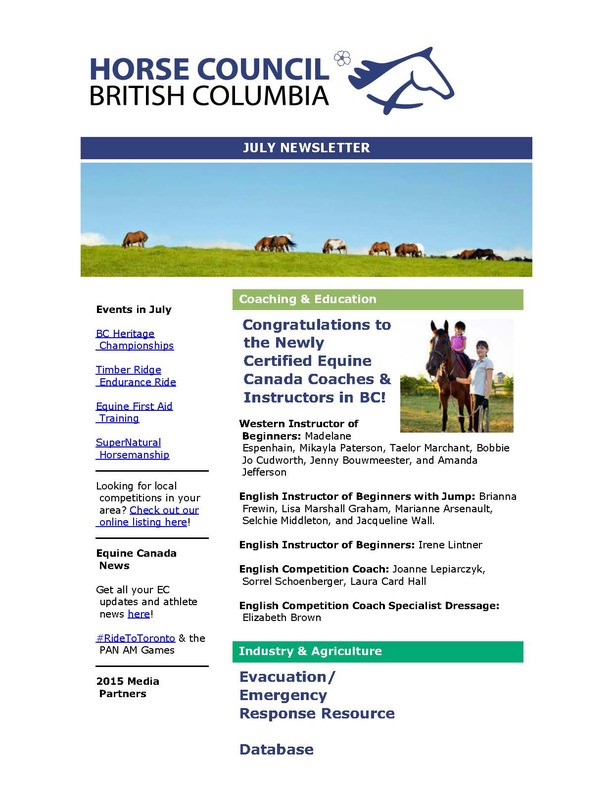 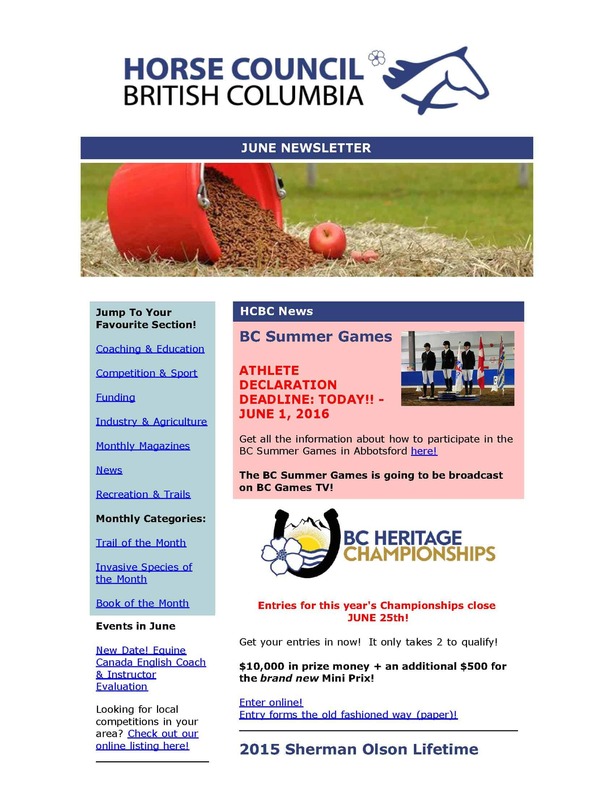 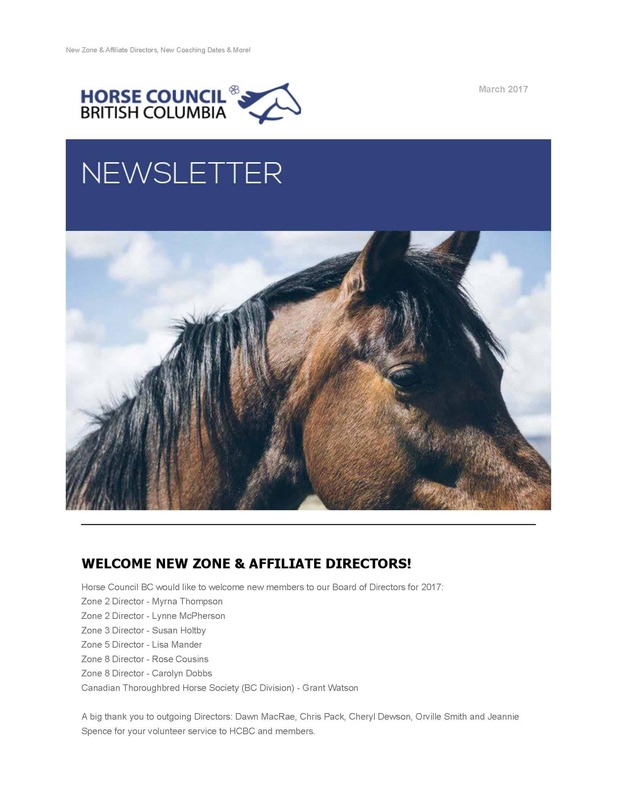 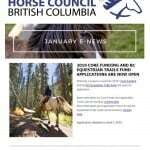 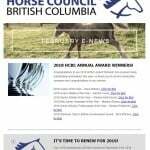 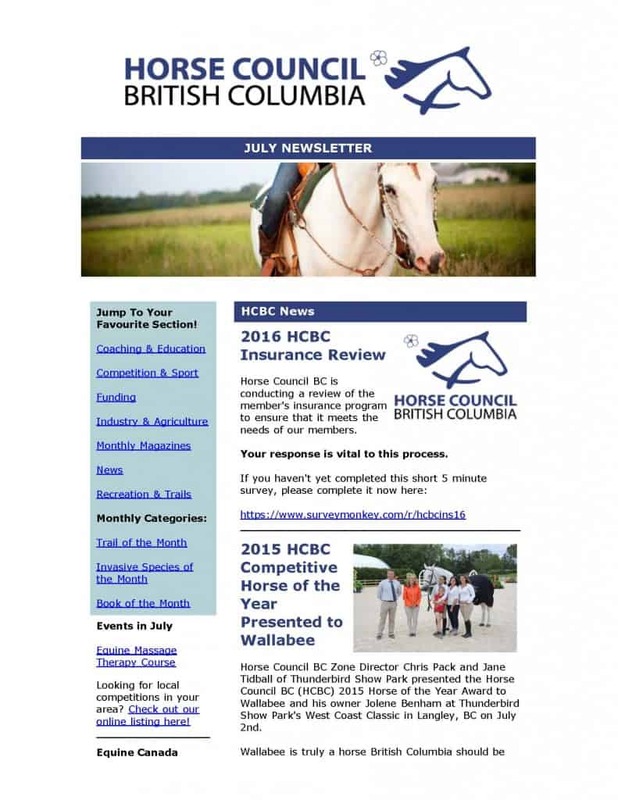 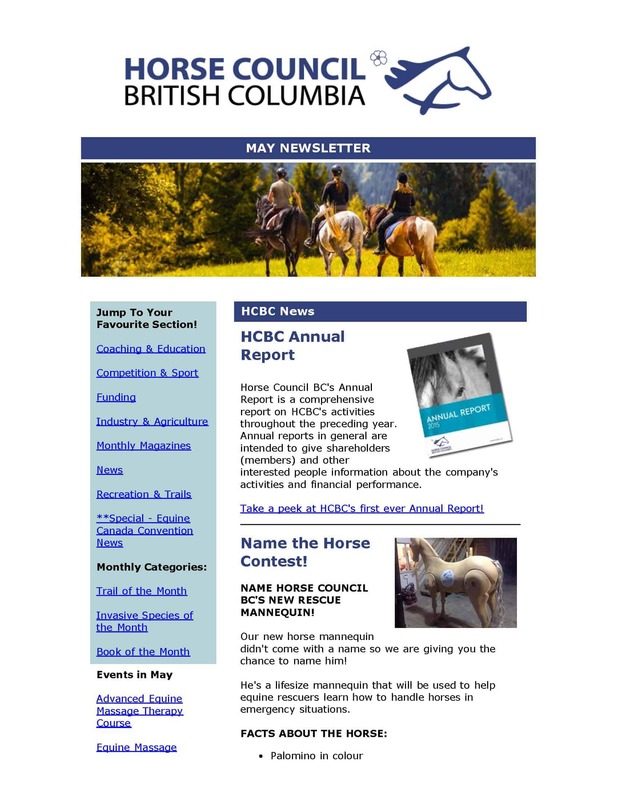 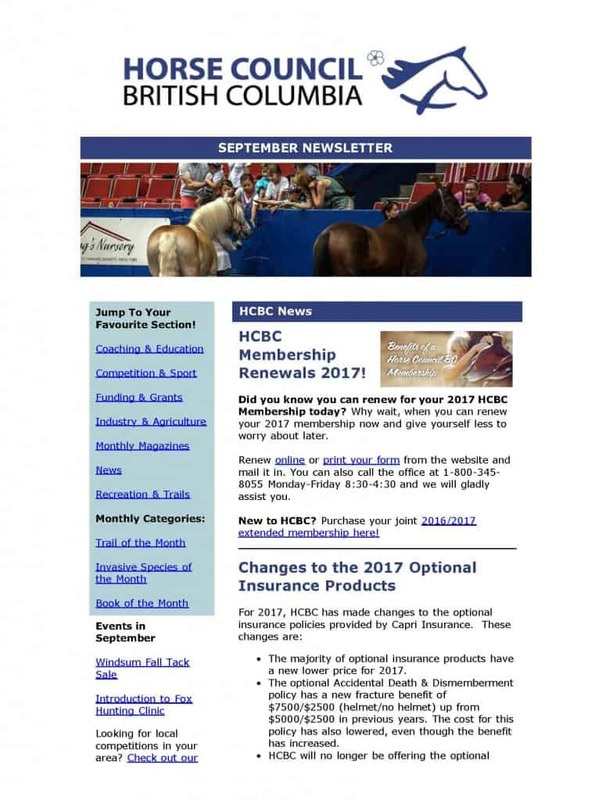 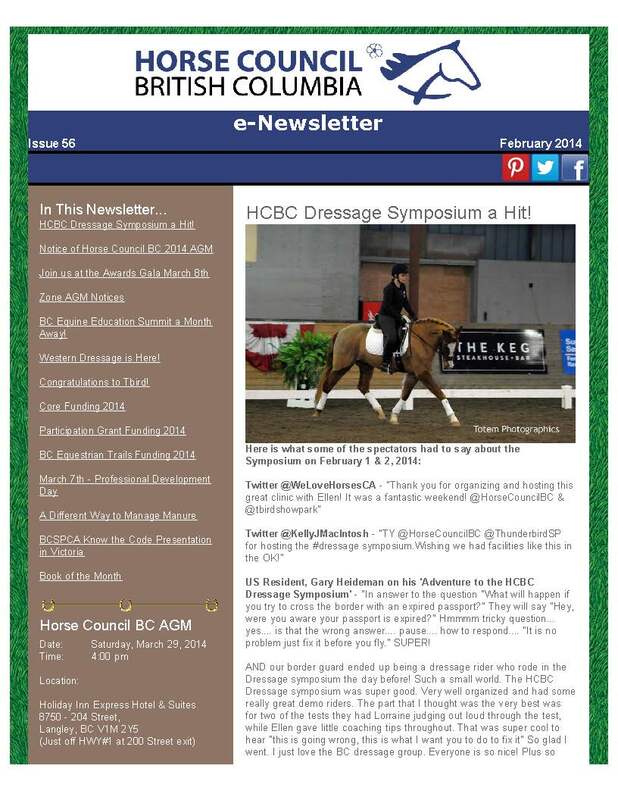 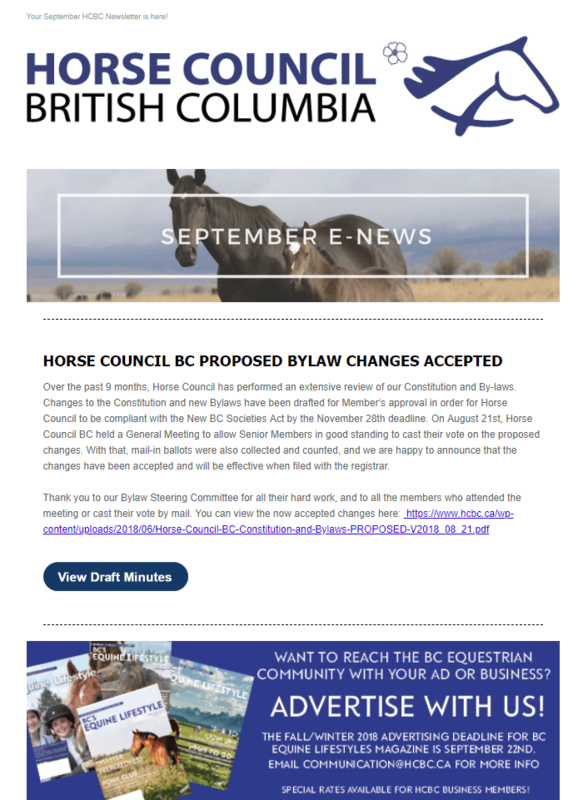 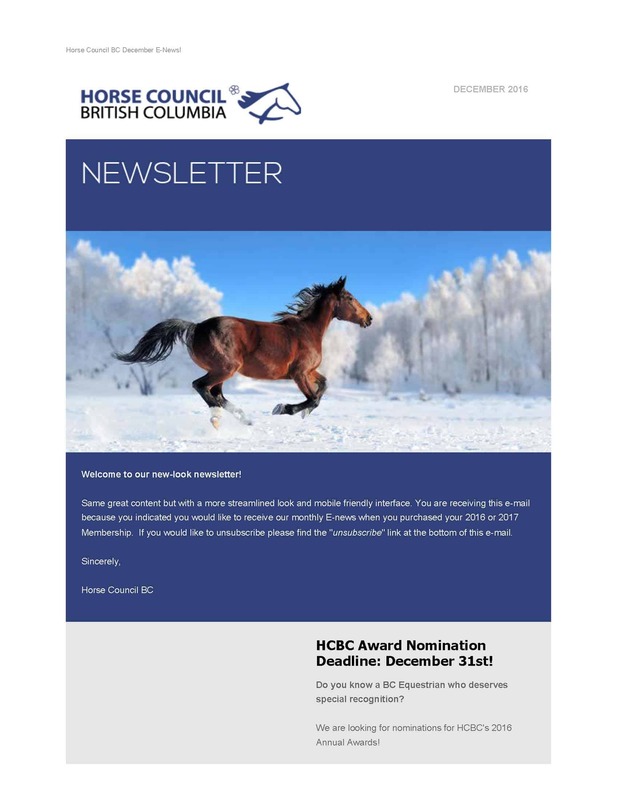 The HCBC E-News is sent out on the first Wednesday of every month and contains information on important issues in BC’s equine community, features and articles, trail of the month, book of the month and much more! 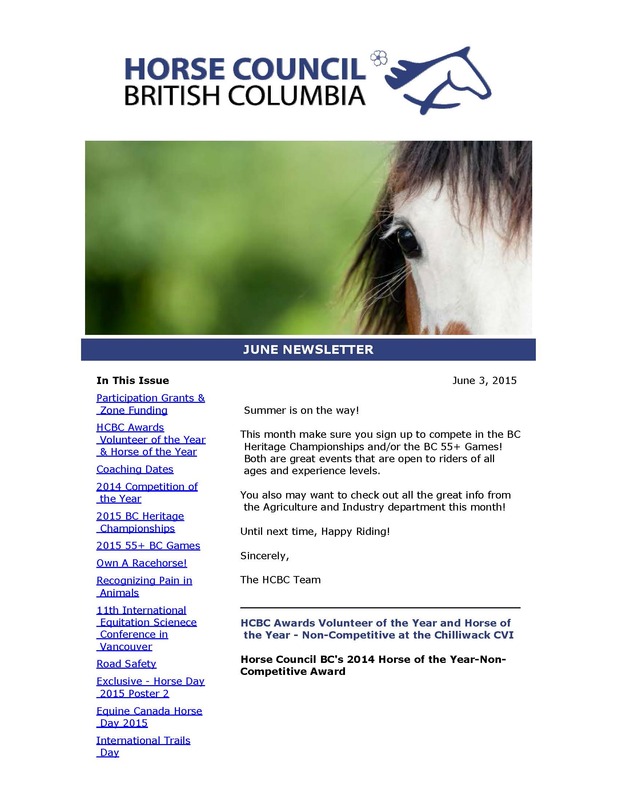 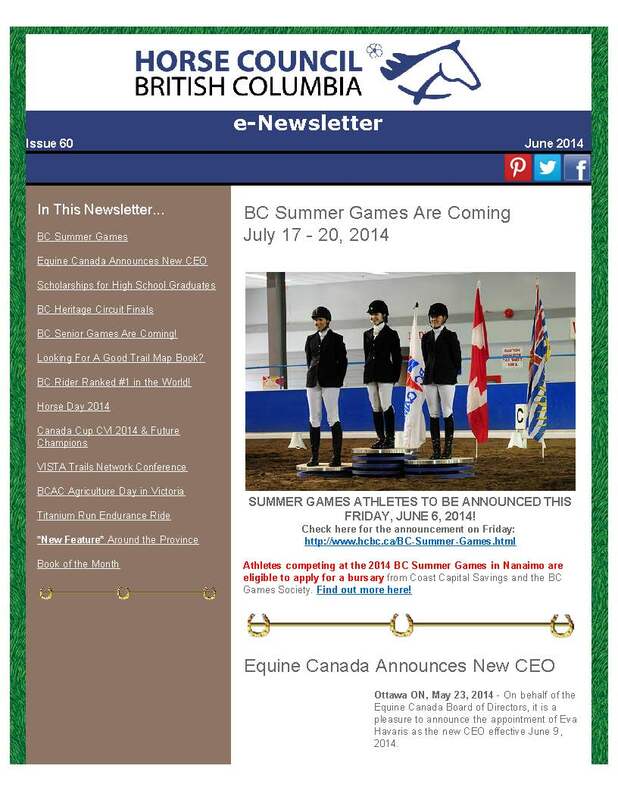 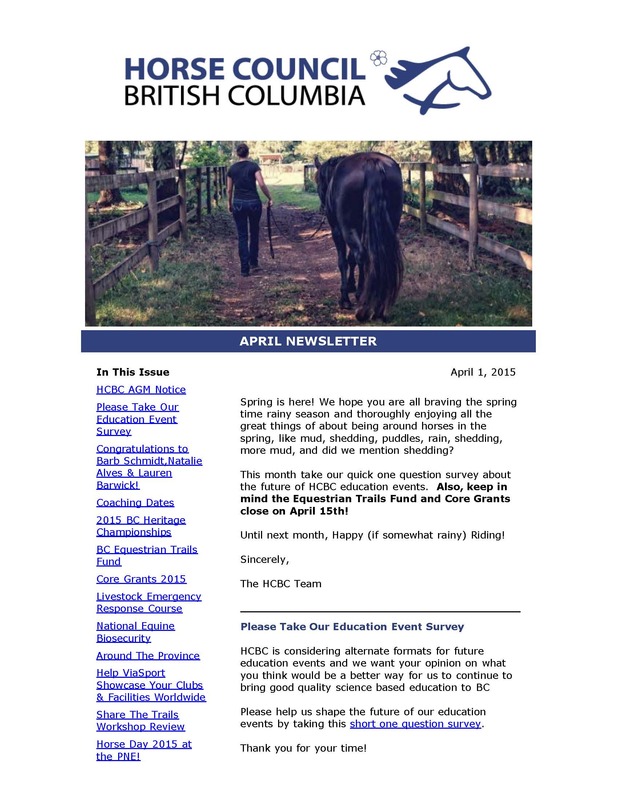 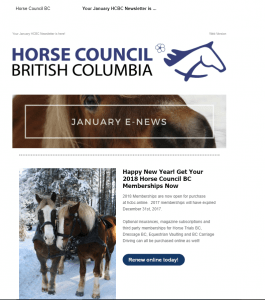 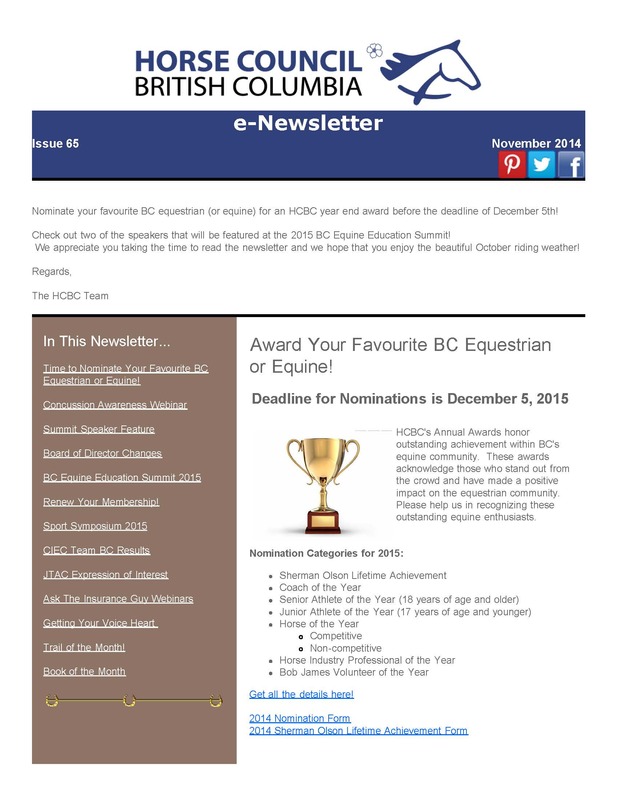 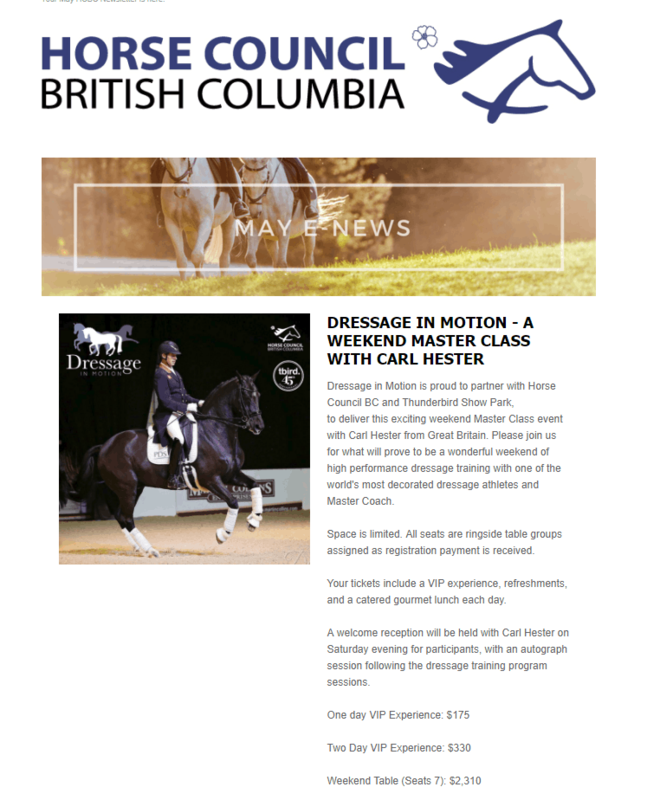 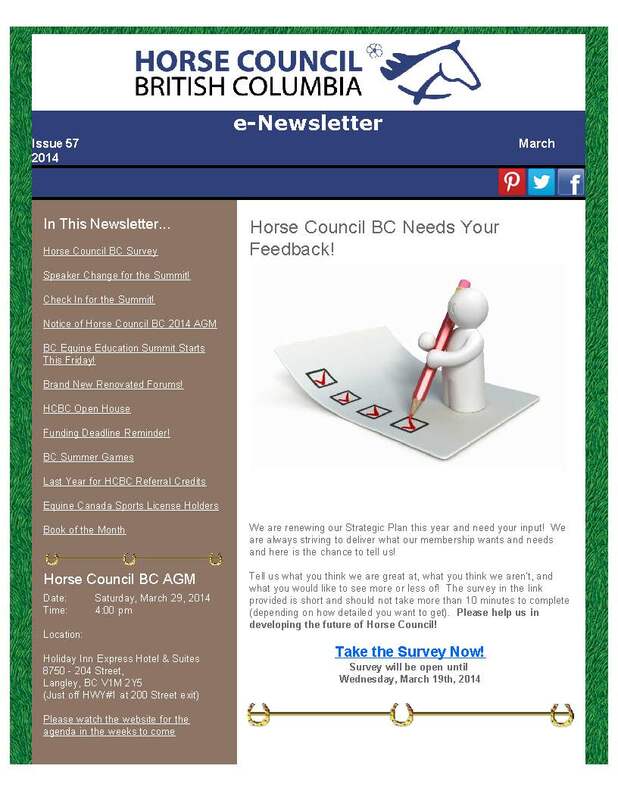 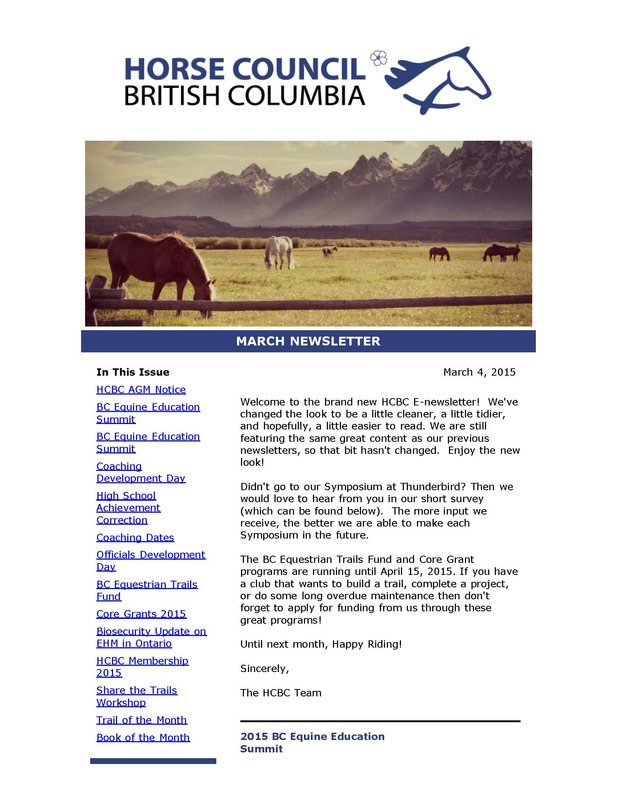 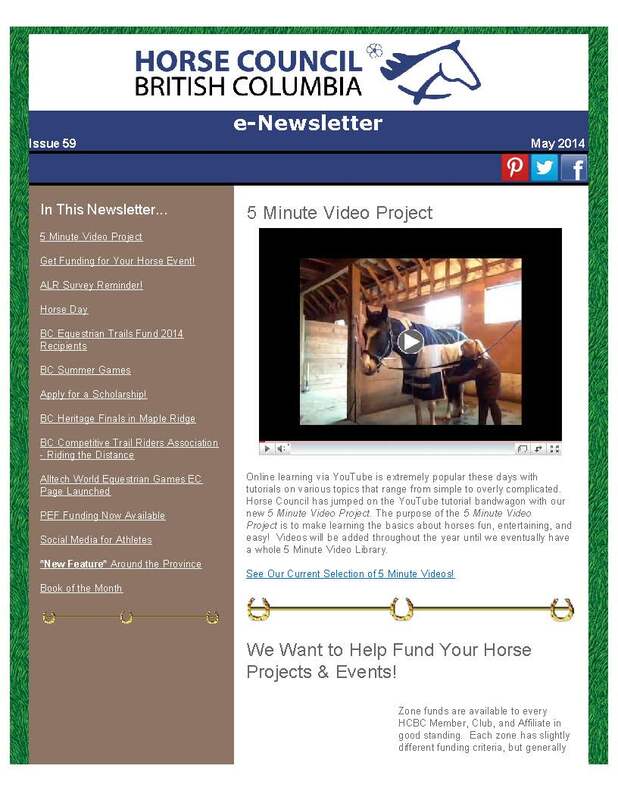 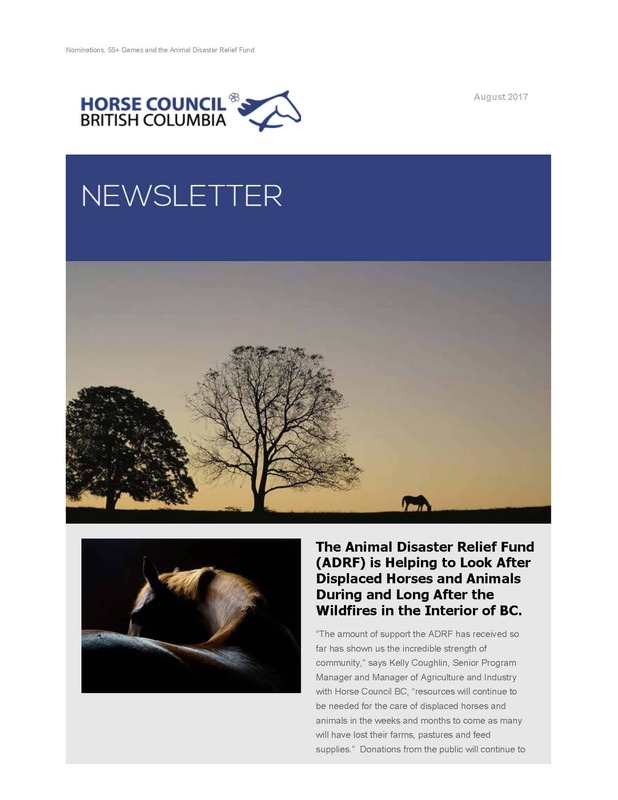 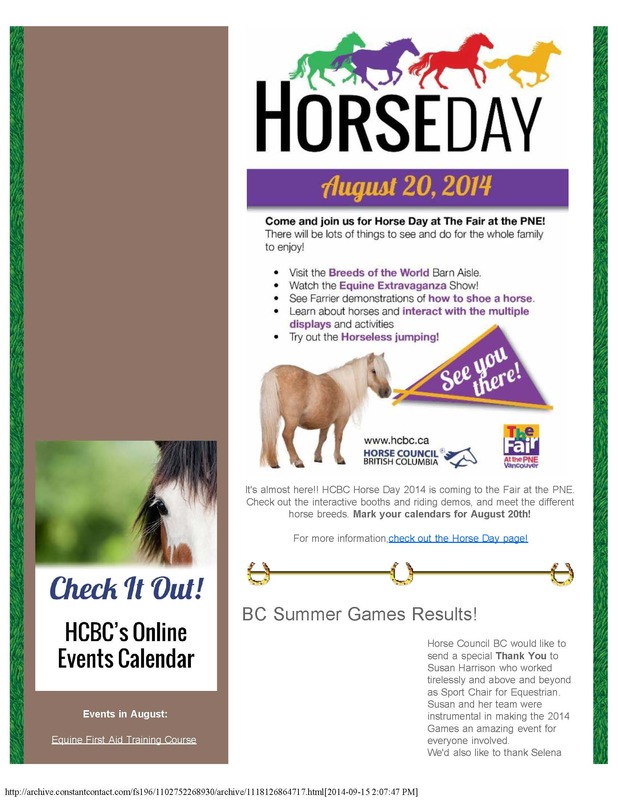 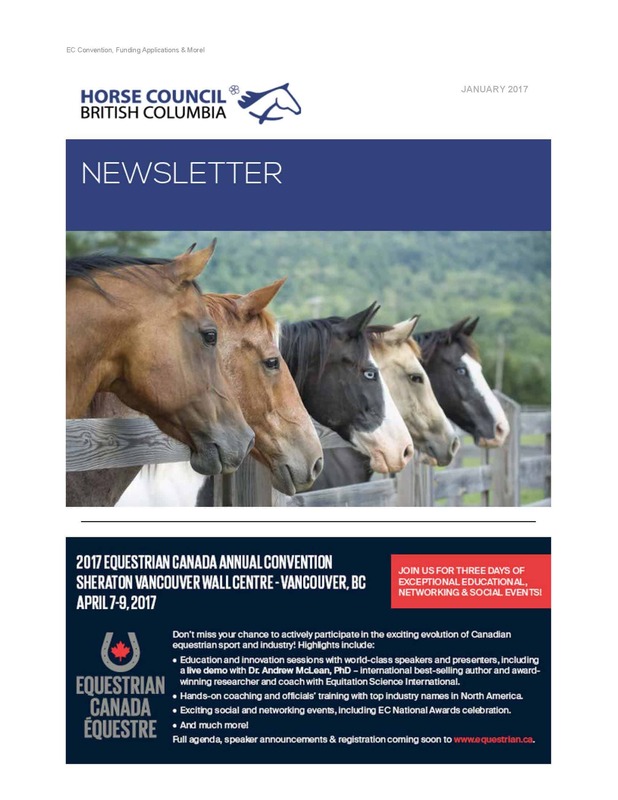 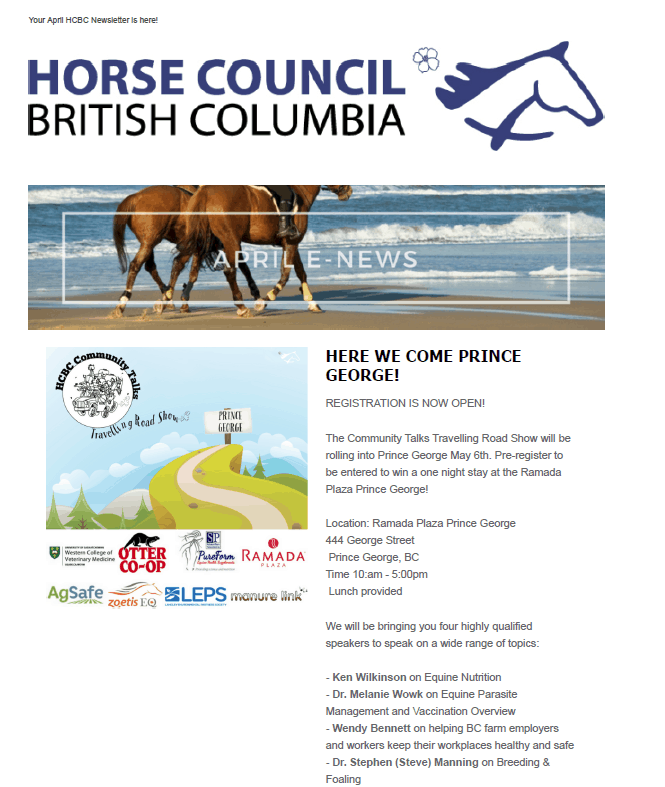 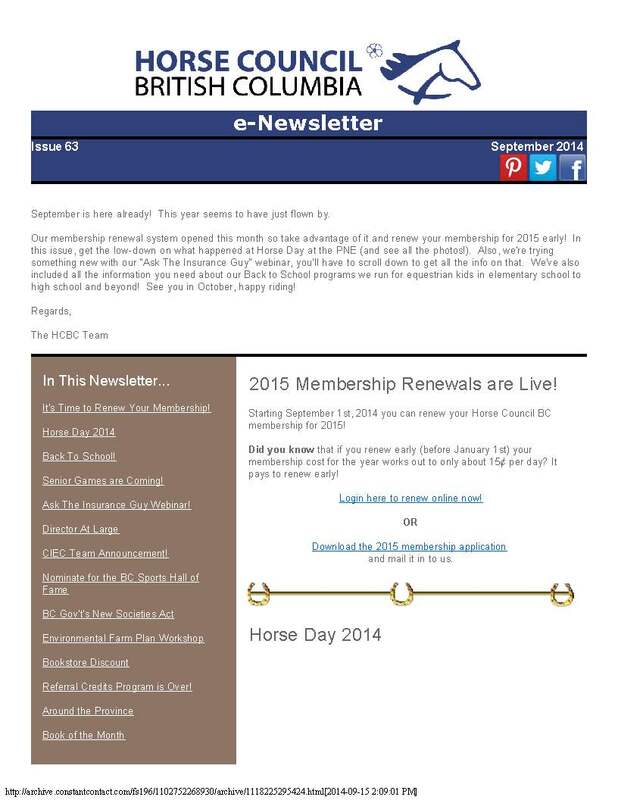 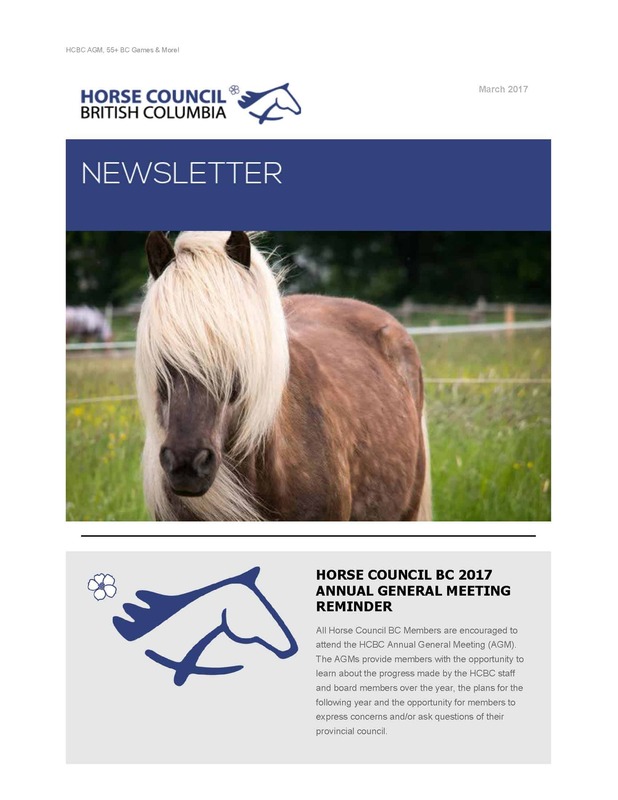 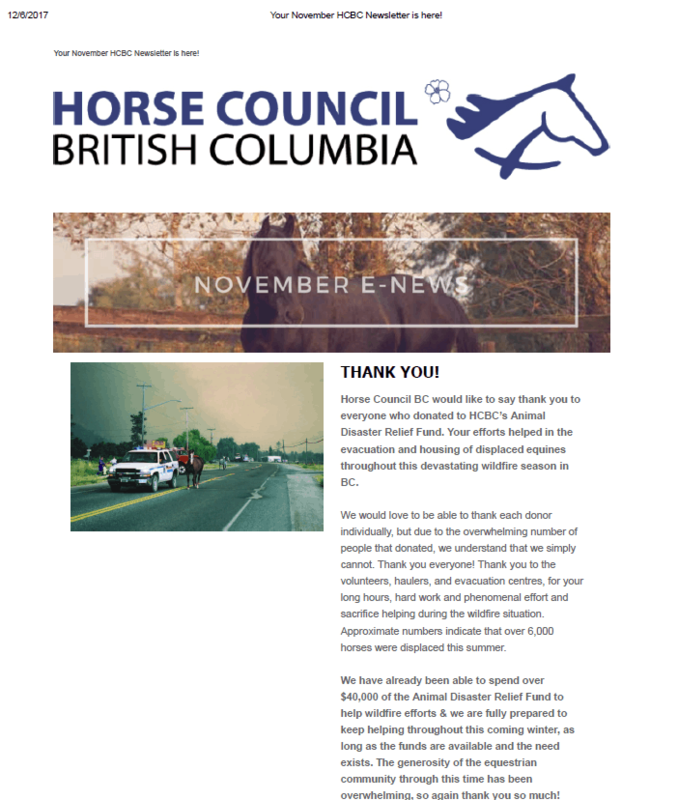 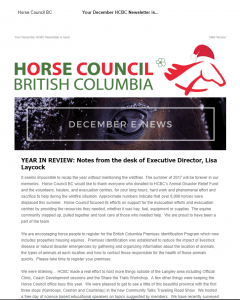 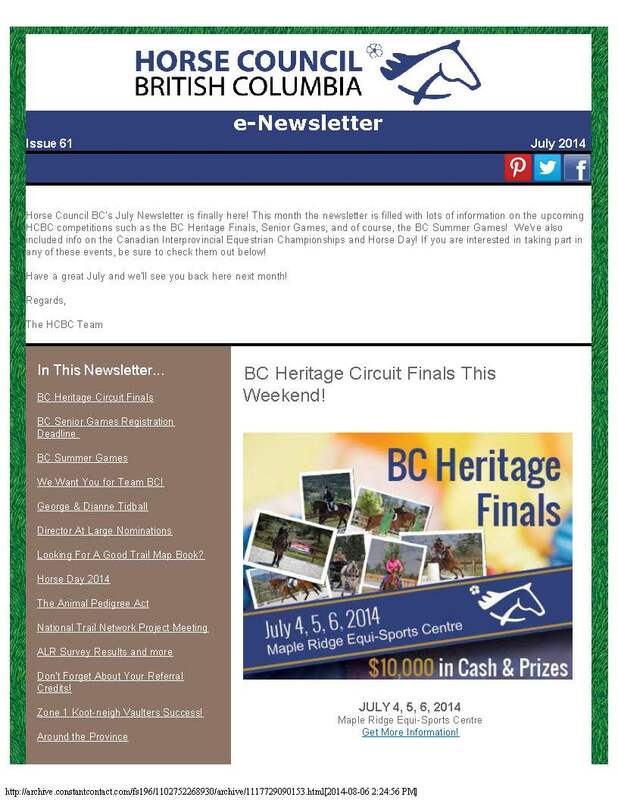 Sign-up for Horse Council BC’s Monthly E-Newsletter! 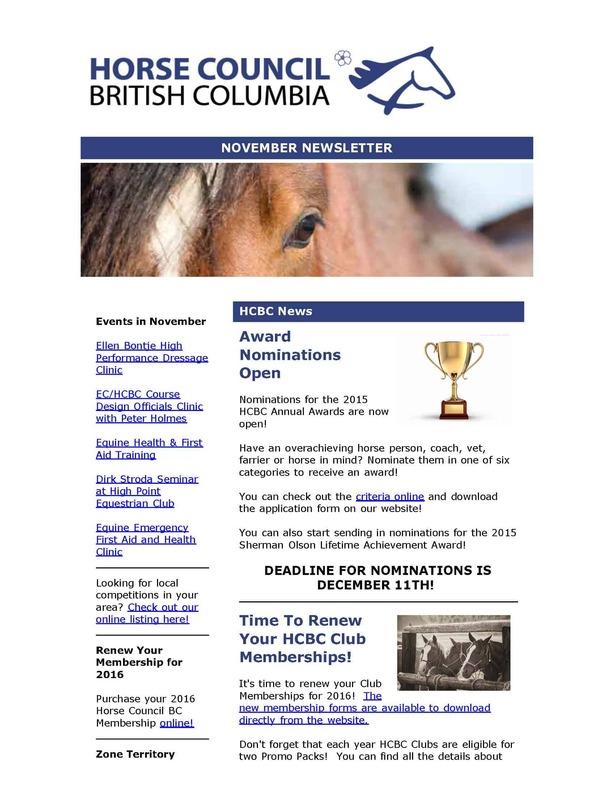 If you are already an HCBC Member and haven’t opted out of receiving e-mails, you will receive these e-mails automatically.